This Prairie Mission Lamp End Table with Drawer is the perfect piece to add to your living room or family room furniture. You can feel good about purchasing American made furniture that is handcrafted from solid hardwood. 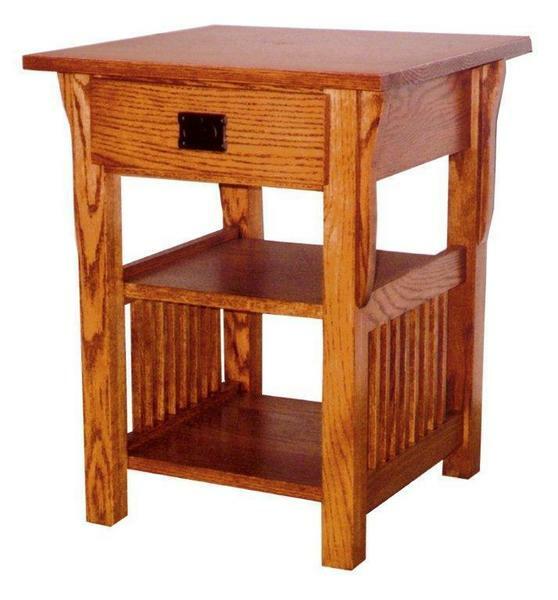 If you are looking for a bit of a larger size then your might want to consider our Large Prairie Mission End Table with Drawer. We also offer a matching Prairie Mission Sofa Table and Prairie Mission Coffee Table to complete the transformation of your room decor. Beautiful, casual look for den.